Strong and ellegant A4 Letter Box. 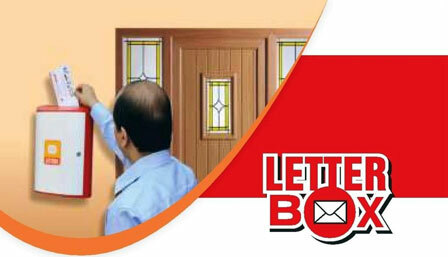 Can take in big envelopes upto A4 Size. Space to write name of society members or individual. Paper Stickers provided to write names. Can fit on the wall with four screws and rawl plugs included. 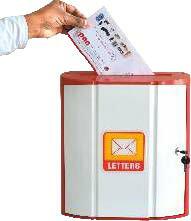 Can also be used as Suggestion Box in exhibitions or any establishment.